Electricians and builders have been put on notice that they must replace dangerous Infinity electrical cables, with the Australian Competition and Consumer Commission saying that 62 per cent of the faulty cables recalled over a year ago are still in place. 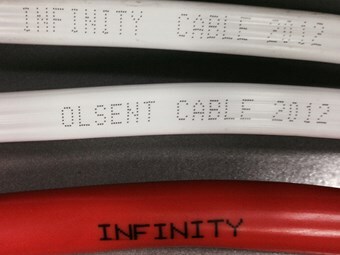 Some of the dodgy Infinity cables. The cables, which were installed in up to 40,000 businesses and homes throughout Australia, fail to meet safety standards due to poor quality plastic insulation coating which is expected to become prematurely brittle from 2016 onwards, possibly causing fires or electric shocks if they are disturbed. The unremediated cables "pose a serious and unnecessary risk to community safety", ACCC deputy chair Delia Rickard says. "Electricians and builders have an obligation to inform the home owners and businesses where they worked that their electrical installations are unsafe and non-compliant," she says. "State and territory regulators can issue rectification orders requiring electricians and builders to replace non-compliant cables, and will do so where Infinity cables are known to have been installed and contractors have simply ignored the problem. "Such orders have already been issued," Rickard adds, "and more are expected to follow." Electricians should not fear costs, she says, as this is a supplier’s recall so the costs are being met by their suppliers. Electricians should immediately contact the suppliers of Infinity cables they installed to seek assistance with remediating Infinity cables under the supplier’s recall. If an electrician thinks he or she bought Infinity cable from a supplier not listed in the recalls they should contact the ACCC. "It would be far better for electricians to be on the front foot and schedule this work rather than waiting to see if a regulator contacts them," Rickard says. "While they do nothing, they run the risk of a house burning down, or a fellow tradesperson or home owner being electrocuted." The ACCC says licensed electricians can expect further contact via the licensing schemes in their respective states and territories to be advised about their legal obligations and urged to take action now, before it’s too late. Business or home owners who had any electrical cables installed between April 2010 and October 2013 are urged to have these inspected by an electrician. More details are available here. 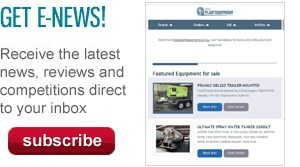 Click here to find electrical equipment for sale.